Here we have for you the research to find out which embassy in Abuja provides best job opportunities for Nigerians. The number of jobs is huge, so choose the best one for yourself and get ready to submit your CV. Almost every embassy in Abuja provide some vacancies, but according to our research at this time U.S embassy has the hghest number of job opportunities for Nigerians. Here we have the list of open vacancies in the U.S. embassy, visit the official website to clarify all necessary information. American embassy jobs are available for each segment of the population, there are vacancies with minimum requirements and vacancies with high demands and the corresponding salary. Gardener at US Embassy – requirements: Job type – Full Time; Experience 2 years; Qualification – Secondary School (SSCE); Salary – N 2,385,434 / USD 21,121 p.a. Janitor at US Embassy – requirements: Job Type – Full Time; Experience 2 years; Qualification – Secondary School (SSCE); Salary – NGN 2,385,434 / USD 21,121 p.a. Mail Clerk, FSN-05/FP-09 at US Embassy – requirements: Job Type – Full Time; Experience 1 year; Qualification – Secondary School (SSCE); Job Field – Administration / Secretarial; Salary – N3,113,911 p.a. Automotive Mechanic Foreman, FSN-06/FP-08 at US Embassy – requirements: Job Type – Full Time; Experience – 3 years; Qualification – Secondary School (SSCE); Job Field – Administration / Secretarial; Salary – N3,591,291 p.a. (Starting basic salary). Warehouseman FSN-02/FP-CC at US Embassy – requirements: Job Type – Full Time; Experience – 1 year; Qualification – Secondary School (SSCE); Salary – N2,385,434 p.a. (Starting basic salary). 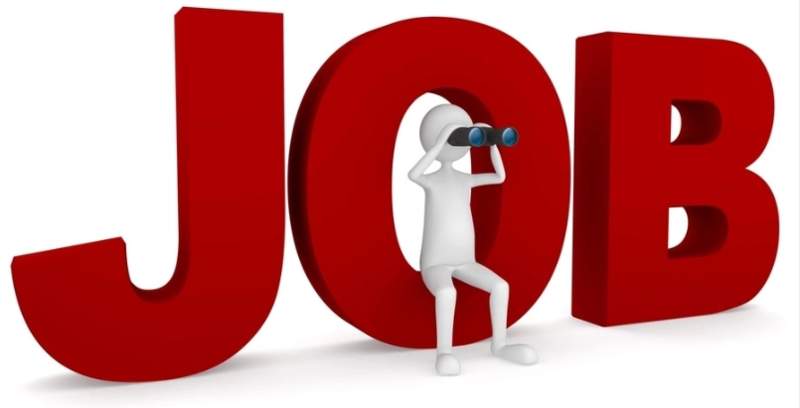 Surveillance Detection Technician, FSN-05 at US Embassy – requirements: Job Type – Full Time; Experience – 3 years; Qualification – Secondary School (SSCE); Job Field – Administration / Secretarial; Salary – N3,113,911 p.a. (Starting basic salary). Legal Advisor at US Embassy – requirements: Job Type – Full Time; Experience – 3 years; Qualification – BA/BSc/HND; Job Field – Administration / Secretarial; Salary – N8,168,957 p.a (Starting basic salary). Voucher Examiner at US Embassy – requirements: Job Type – Full Time; Experience – 3 years; Qualification – BA/BSc/HND; Job Field – Administration / Secretarial; Salary – N4,766,721 p.a (Starting basic salary). Commercial Specialist (Training level) at US Embassy – requirements: Job Type – Full Time; Experience – 4 years; Qualification – BA/BSc/HND; Job Field – Administration / Secretarial; Salary – N8,168,957.00 p.a. (Starting basic salary). Commercial Specialist (Full Performance) at US Embassy – requirements: Job Type – Full Time; Experience – 5 years; Qualification – BA/BSc/HND; Job Field – Administration / Secretarial; Salary – N9,304,635.00 p.a. (Starting basic salary). Chauffeur FSN-03/FP-BB at US Embassy – requirements: Job Type – Full Time; Experience – 2 years; Qualification – Secondary School (SSCE); Job Field – Administration / Secretarial; Salary – N3, 213,591 p.a. (Starting basic salary). Senior Program Development Specialist at US Embassy – requirements: Job Type – Full Time; Experience – 5-7 years; Qualification – BA/Bsc/HND/MBA/MSc/MA; Job Field -Administration / Secretarial; One should ask about the amount of salary at the embassy management. Chauffeur/Scooter Driver – FSN-03/FP-BB at US Embassy – requirements: Job Type – Full Time; Experience – 3 years; Qualification – Secondary School (SSCE); Salary – N3, 213,591 p.a. (Starting basic salary). Travel Coordinator at US Embassy – requirements: Job Type – Full Time, Experience – 3 years, Qualification – Secondary School (SSCE), Job Field – Administration / Secretarial, Salary – N3,591,291 p.a. (Starting basic salary). Maintenance Inspector, FSN-08/FP-06* at US Embassy – requirements: Job Type – Full Time; Experience – 5 years; Qualification – BA/BSc/HND; Salary – N7,759,507 p.a (Starting basic salary). Project Management Specialist – Power Sector – USAID at US Embassy – requirements: Job Type – Full Time; Experience – 5 years; Qualification – BA/BSc/HND; One should ask about the amount of salary at the embassy management. Document Control Assistant at US Embassy – requirements: Job Type – Full Time; Experience – 3 years; Qualification – BA/BSc/HND; One should ask about the amount of salary at the embassy management. Senior Program Specialist – Data Analysis and Visualization, FSN-11/FP-4* at US Embassy – requirements: Job Type – Full Time; Experience – 5 years; Qualification – BA/Bsc/HND, MBA/MSc/MA, Salary – N11, 581,095 p.a (Starting basic salary). Economic & Commercial Assistant, FSN-8/FP-06* at US Embassy – requirements: Job Type – Full Time; Experience – 2 years; Qualification – BA/Bsc/HND, Salary – N6,466,256 p.a. (Starting basic salary). Computer Management Assistant, FSN-8/FP-06 at US Embassy – requirements: Job Type – Full Time; Experience – 2 years; Qualification – BA/Bsc/HND, Salary – N6,466,256 p.a. (Starting basic salary). Telephone Operator, FSN-04/FP-AA at US Embassy – requirements: Job Type – Full Time; Experience – 2 years; Qualification – Secondary School (SSCE); Salary – N2,999,666 p.a. (Starting basic salary). Visa Assistant, FSN-07/FP-07* at US Embassy – requirements: Job Type – Full Time; Experience – 1 year; Qualification – BA/BSc/HND; Salary – 4,766,721 p.a. (Starting basic salary). U.S embassy job in Abuja is worth it, so don’t waste time and contact the HR department.